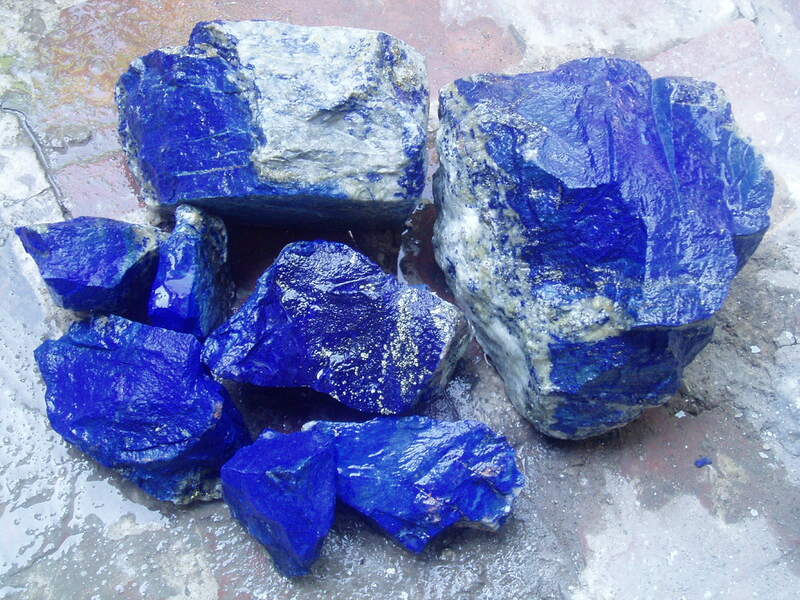 Lapis Lazuli is a gemstone with an incredible past, for many millennia it has been prized for its stunning, rich colour and mystical properties. Primarily mined in Afghanistan, it has been used to make exquisite jewellery that pre-dates even the first Egyptians. 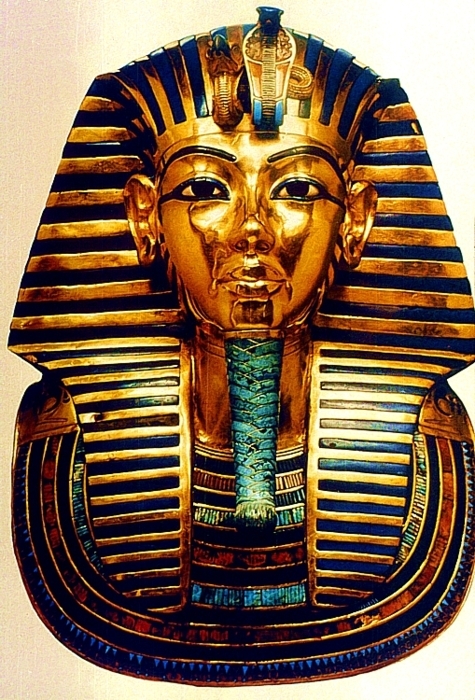 The death mask of famous young Pharaoh Tutankhamun, famously showcases one of the largest amounts of in-laid Lapis ever used for an ornamental purpose. The name Lapis Lazuli is derived from words in the Persian language that mean 'blue heaven', but in modern day the gemstone is most commonly referred to as Lapis. Lapis Lazuli in its purest form, before it is cut and shaped into jewellery. The stunning gold and white flecks found inside Lapis is created by the presence of two other minerals: Pyrite and Calcite. 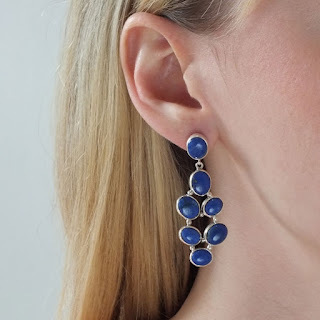 The popularity of Lapis hasn't foundered in over 6000 years; even today it still proves to be a staple of many people's jewellery collections. 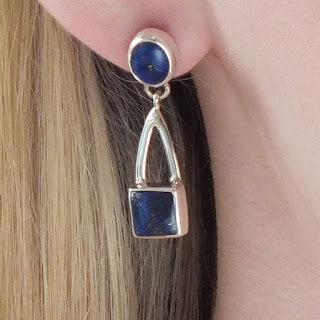 A selection of our new Lapis earring design - In store now! More of our new Lapis earring designs - In store now! bursting with colour and delicate beauty. All of our jewellery is hand-made with either sterling silver, solid gold or gold vermeil. Our designs are beautifully made with the highest quality gemstones and craftsmanship, and as we source all the pieces ourselves we keep our prices fair and affordable. 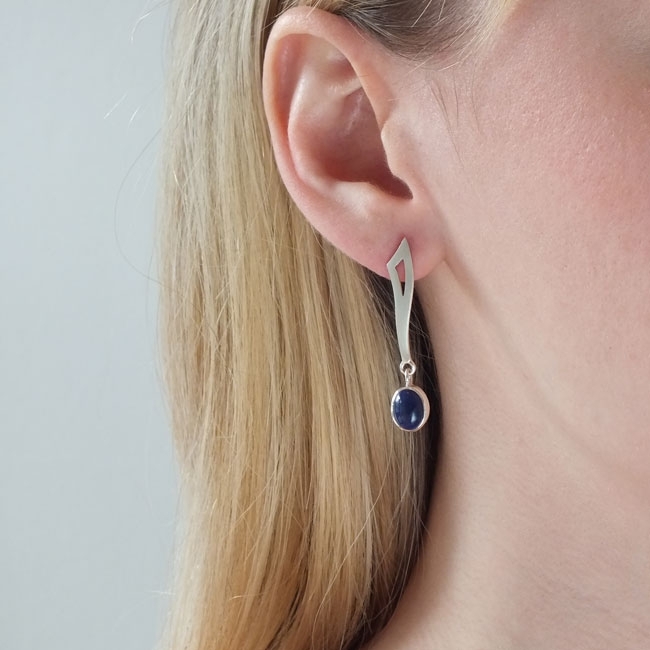 'Deep pools' Lapis and sterling silver drop earrings. So whether you live on the Isle of Wight or holiday here, be sure to visit us at our Cowes store and see if we can match you with your perfect piece of jewellery. 'Ottoman' Lapis and sterling silver drop earrings. TELEPHONE ORDERS WELCOME / POSTAL SERVICE AVAILABLE.